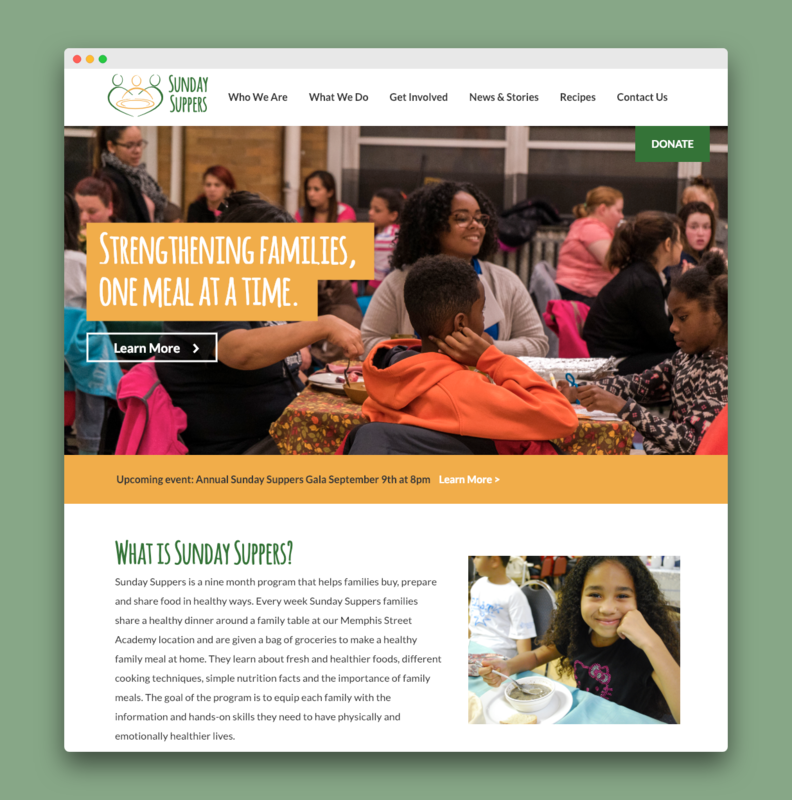 Sunday Suppers is a non-profit that exists to bring underprivileged families together for healthy meals and education. I did the project pro-bono in partnership with Taproot+. I redesigned their existing website and built the custom WordPress theme from my own static HTML/CSS design. With this project I learned a lot about Custom Post Types and Advanced Custom Fields, creating “Recipe” and “News” post types to make the process easy to use for the people who would be maintaining the website. Kerrin transformed my website,. She was easy to work with and we collaborated at each step along the way. Kerrin has a good eye for layout and website mapping, and design. I like how she displayed the recipe page, and made our site more interactive and user friendly. I love working with good causes, if you need design work for a non-profit initiative, let’s talk.